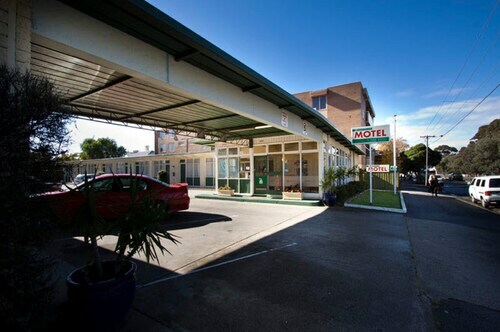 Situated in a regional park, this motel is within 1 mi (2 km) of Princes Park, University of Melbourne, and Melbourne Zoo. Royal Children's Hospital and Royal Melbourne Hospital are also within 2 mi (3 km). Jewell Station is 7 minutes by foot and Royal Park Station is 12 minutes. 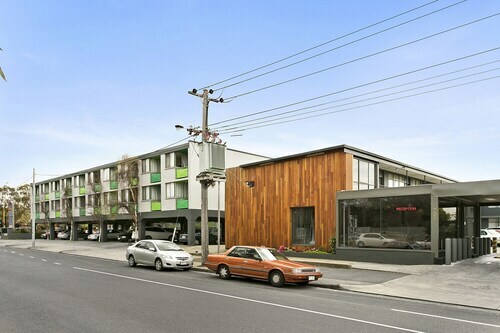 Located in Brunswick North, this apartment building is within 3 mi (5 km) of Princes Park, University of Melbourne, and Melbourne Zoo. Royal Children's Hospital and Royal Melbourne Hospital are also within 3 mi (5 km). Anstey Station is only a 4-minute walk and Moreland Station is 9 minutes. Situated in the historical district, this apartment building is close to Princes Park, University of Melbourne, and Melbourne Zoo. Also nearby are Royal Children's Hospital and Royal Melbourne Hospital. Situated in Northern Suburbs, this apartment building is within 2 mi (3 km) of Princes Park, University of Melbourne, and Melbourne Zoo. Queen Victoria Market and Melbourne Central are also within 3 mi (5 km). Brunswick Station is only a 3-minute walk and Jewell Station is 11 minutes. 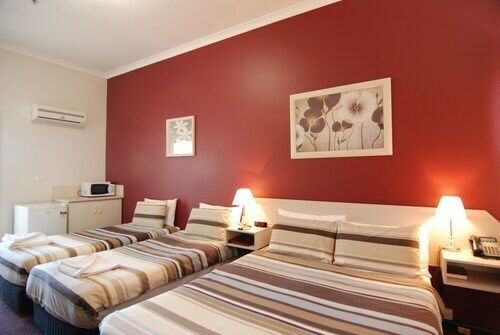 Situated in Northern Suburbs, this motel is within 1 mi (2 km) of Princes Park and Melbourne Zoo. University of Melbourne and Royal Children's Hospital are also within 2 mi (3 km). Jewell Station is 6 minutes by foot and Royal Park Station is 11 minutes. 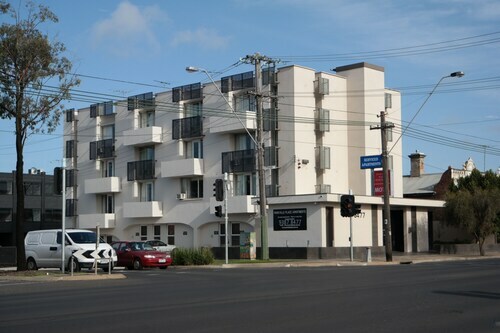 Located in Brunswick North, this motel is within 3 mi (5 km) of Princes Park, University of Melbourne, and Melbourne Zoo. Moonee Valley Racecourse is 2.6 mi (4.2 km) away. Moreland Station is only a 2-minute walk and Anstey Station is 8 minutes. Got plans for a trip to Victoria and its capital, Melbourne? You may like to look into the neighbourhood of Brunswick, located 5 kilometres north of the middle of the city. The Crown Casino and Entertainment Complex, Federation Square and St. Kilda Beach are just a selection of the rich sights Melbourne is the home of. While you discover Brunswick, make sure you see the Melbourne Zoo. Be sure to head to Royal Park if you want a quick break from the concrete jungle. Check the rates at the AKOM Docklands and Grand Hyatt Melbourne to stay nearby. On a summery day, there's nothing better than relaxing in Batman Park. Consider the Mantra Bell City and BreakFree Bell City to be near this site. The Best Western Melbourne's Princes Park Motor Inn and Brunswick Vibe are a couple of more upmarket places to rest and relax in Brunswick. That said, don't freak out if you're travelling on a tight budget, because Brunswick contains a great range of accommodation options for all travellers. Interested in checking out the cafe scene in in Brunswick? Whether you're catching up with a mate or just taking it easy in a comfortable corner with a hot coffee, you can't go past My first Cafe. If coffee and a snack simply isn't going to cut it, go and peruse the menu at Vibe Hotel Carlton Melbourne. Everyone will find something to their liking at this well-loved eatery. If you wouldn't turn down a couple of beers before you call it a day, why not pop into The Lomond Hotel? Who knows, the bartender may even have some tips on what to see tomorrow! Having trouble securing that perfect Brunswick room? 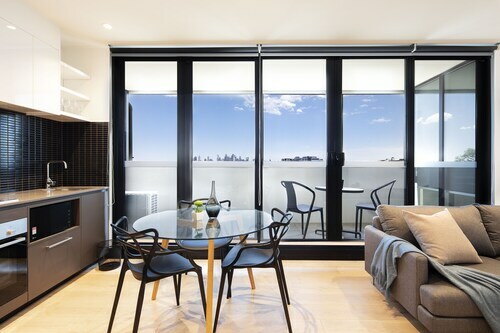 It is worth thinking about the accommodation options in the Carlton North hotels guide and the Wotif Parkville hotels guide. 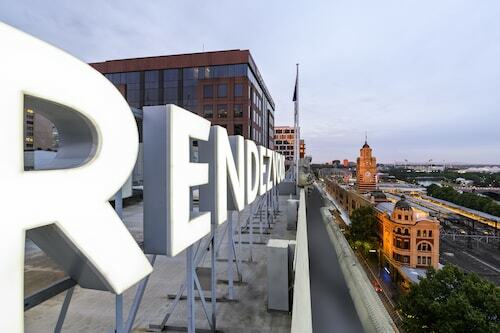 There are some awesome hotels and apartments in and around Brunswick. So whether you're looking for a place to stay, or car hire, flights and activities as well, Wotif can make your Melbourne dreams a reality. Need insider tips on must-see attractions in Brunswick? Check out our Brunswick travel guide! How Much is a Hotel Room in Brunswick? 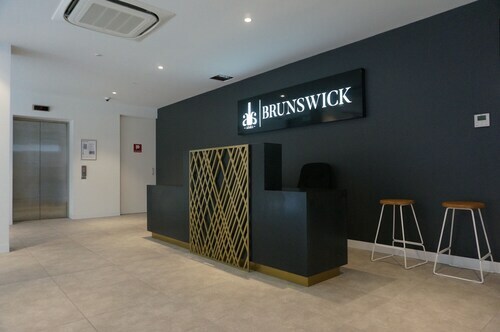 Hotels in Brunswick start at AU$77 per night. Prices and availability subject to change. Additional terms may apply. The only negative was the sheets on the bed. They were so startched it was uncomfortable and not welcoming.... the part I needed so much to be right.